The KRISCOP Copper Rods(C101/C102/C103/B170/B379) are available in different finishes and designs as per the requirements of clients. These pure Oxygen Free Copper rods are developed from qualitative electrolytic Copper with the best possible finish standards. Available forms: Squares, rounds, hexagons, flats as well as in other custom shape choices. 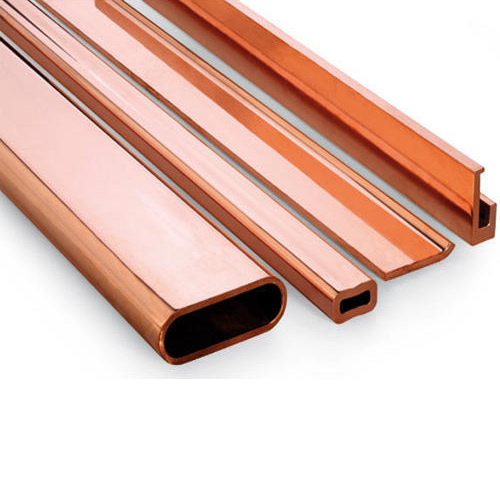 The KRISCOP Copper Profiles are fabricated using superior grade Copper in compliance with industrial standards in different shapes, finishes and tempers. 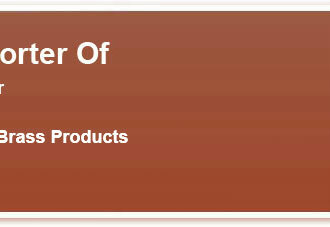 Available finish and shape options : Squares, Hexagon, Octagon as well as in D, V, C, A and hollow shapes, rods, tubes, bus-bar.. 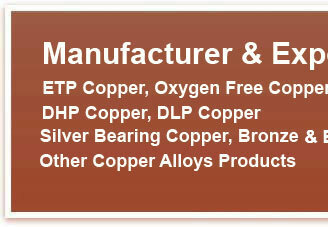 These are also available in form of Copper balls of high ETP grade with latest Copper extrusion technology. Here, our expertise also lies in making these available in different technical properties and fabrication characteristics that can be employed at the extrusion stage as well as in different sizes and edge finish choices as desired by the customers. almost nil, millivolt drop across the connector, thereby reducing the temperature rise and increasing the current carrying capacity of the jumper. In this process, no filler metal is used to join two layers together. They have a constant cross section over whole length. The current carrying capacity of solid busbar and Copper Flexible Jumpers manufactured by this process is the same. 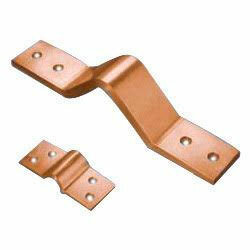 Therefore, these Copper Flexible Jumpers are a substitute for solid busbar. It is also possible to drill, saw, braze, mill & weld the contact areas without any problem. 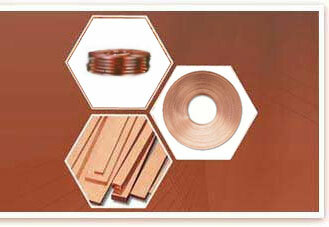 KRISCOP Copper Flats are available in a wide range of finishes as per the specific end application demands. 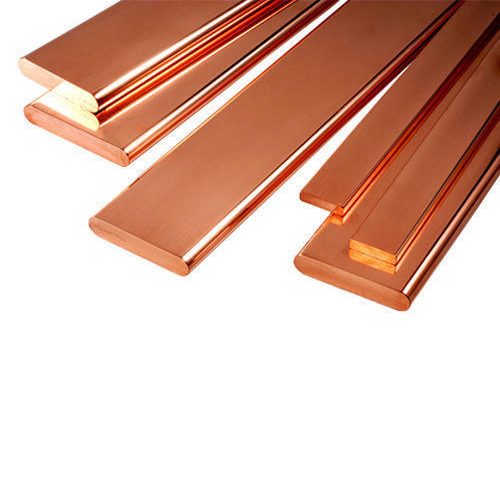 These Copper flats are fabricated using Copper purity of up to 99.9 % in compliance with defined industry standards including IS191 & IS1897. 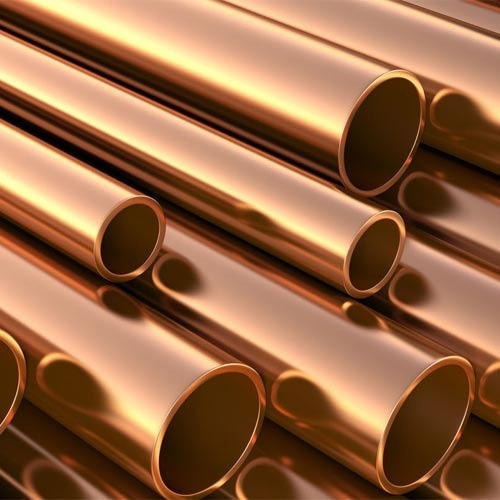 The KRISCOP Beryllium Copper Rods (C101/C102/C103/B170/B379) are available in different finishes and designs as per the requirements of clients. 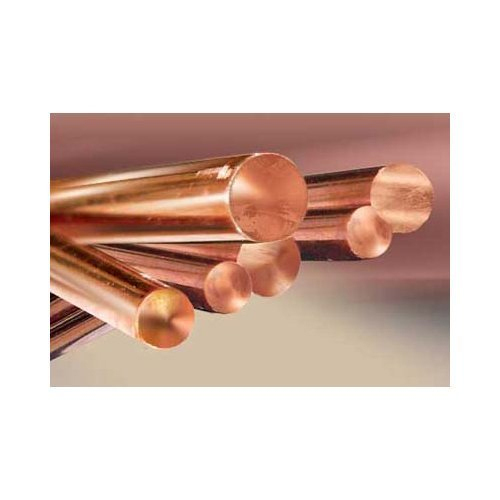 These pure Oxygen Free Copper rods are developed from qualitative electrolytic Copper with the best possible finish standards.